An email autoresponder (a.k.a. “Drip Campaign”) is a sequence of follow up emails that get delivered to your subscribers on a schedule that you decide. It’s an opportunity to connect with you prospects. They’ve subscribed (or registered to your IDX) so they’ve given you their attention. It’s an opportunity for your to deliver value. Make a connection. And basically, lay the groundwork for making a sale. The best part about it is it’s always working. When someone new subscribes, they get sent through the funnel. 2-3 sentences welcoming your subscriber. It’s ok to sound conversational. A bullet list that re-instates all of the things that they can do now that they’ve subscribed. Search for homes. Get email updates on custom searches. Favorite properties, etc. Create a “Campaign” to schedule your emails. Thanks for your inquiry, how can I help? Ok, some of those subject lines make bold statements. But that’s the point. Think about ways to spark curiosity. Ask questions. Make bold statements to invoke a reaction. The trick is to get the person (your subscriber) to open your email to begin with. 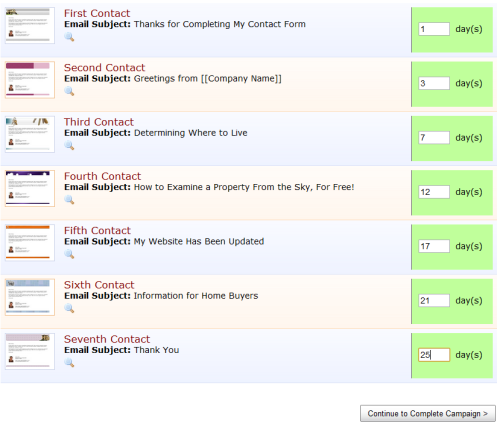 Here, simply select the marketing emails that you wish to include in your new auto-responder. Then, use the “Flex Schedule” to schedule your emails over a period of time. When you save your campaign, don’t set an end date. This way, your new drip campaign will go out to everyone who subscribes to your IDX from that day forward. Do you currently have an autoresponder setup? How many follow up emails have you set up? What does your process look like? 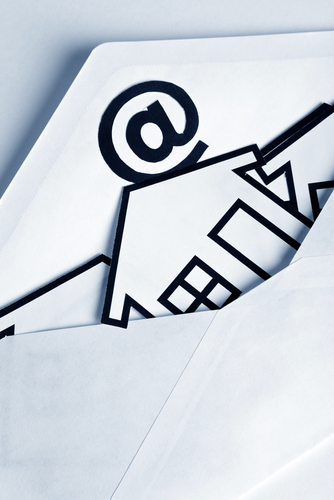 More agents need to do email marketing well. Including me! Haha!